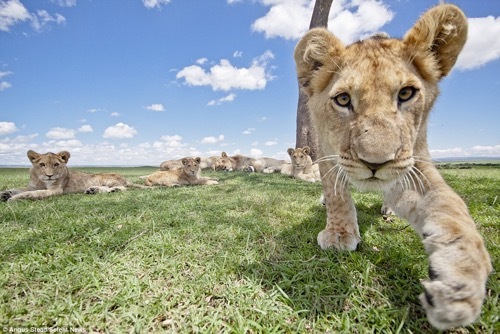 See What Happens When You Leave a Camera LION around! 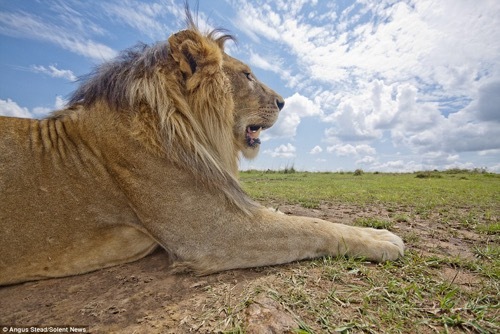 Take a look at what happens when you leave a hidden camera camouflaged in grass and leaves in the national parks of East Africa. 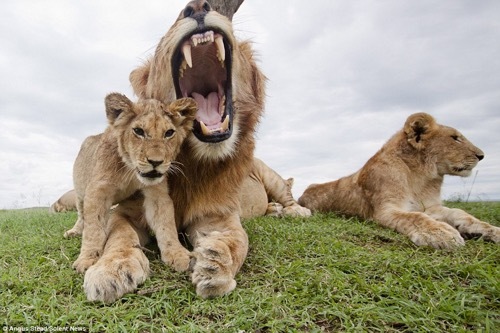 British photographer Angus Stead did just that and has captured some of the most candid and incredible images featuring a pride of lions. 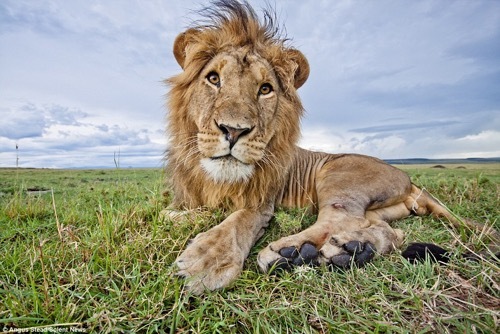 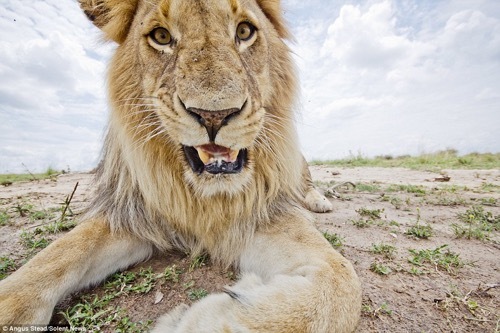 This confident African lion uses the camera to try out a number of selfies ! 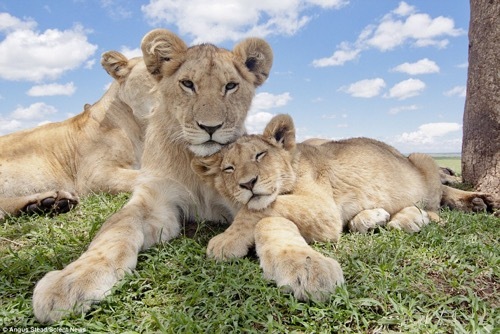 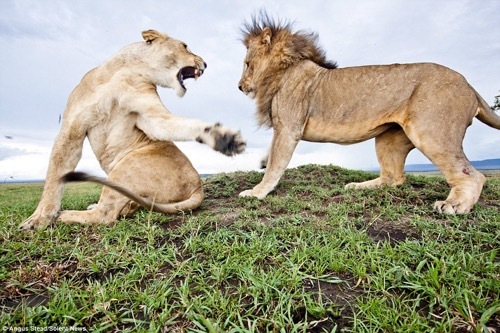 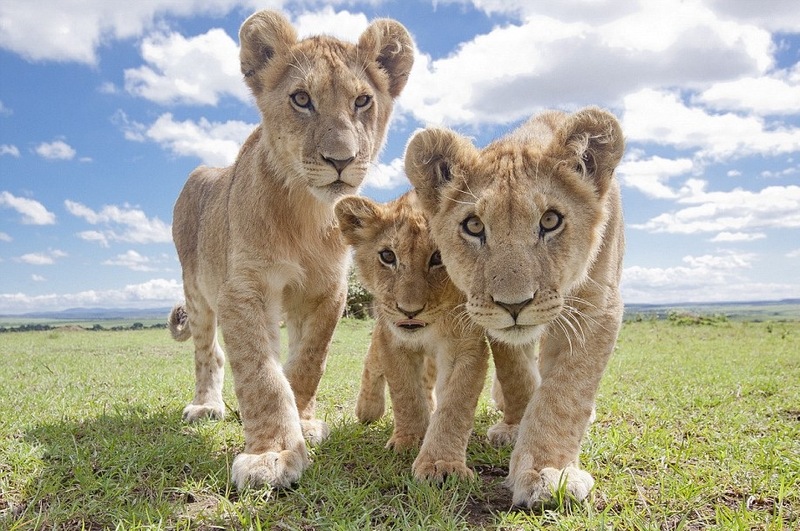 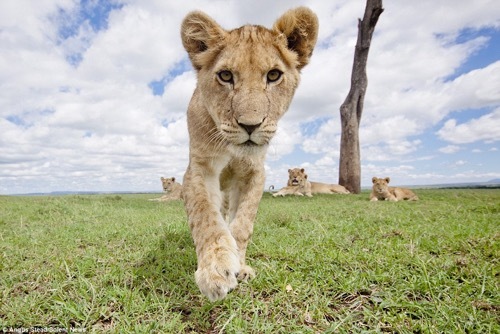 The camera operates using a remote trigger from a nearby vehicle and can move around to be in the best possible position to grab the attention of the pride.